We're working to build a better community, one person at a time. We are always growing our programs to better serve the people of Wyoming. We offer programs within our Mission Services area and our Community Programs area. ​Our focus is always the people we support and we are proud to be in your community providing high-quality services. The impact we can make in your community is because of your generous donations and always thinking of us as your store of choice. 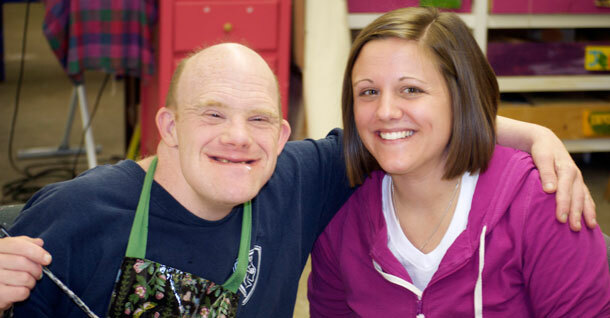 Day habilitation serves are provided in a group setting at the Goodwill Rehabilitation Center and in the community. Services are designed to consist of a meaningful day, learning and maintaining skills and abilities, and having the participants engaged in their community. Activities foster independence, social skills, and are person-centered. Activities may include out of town trips, bowling, exercise, community volunteering, cooking, as well as recreational and learning activities. Supported living services can be provided as a 1:1 or group of up to 3 people. 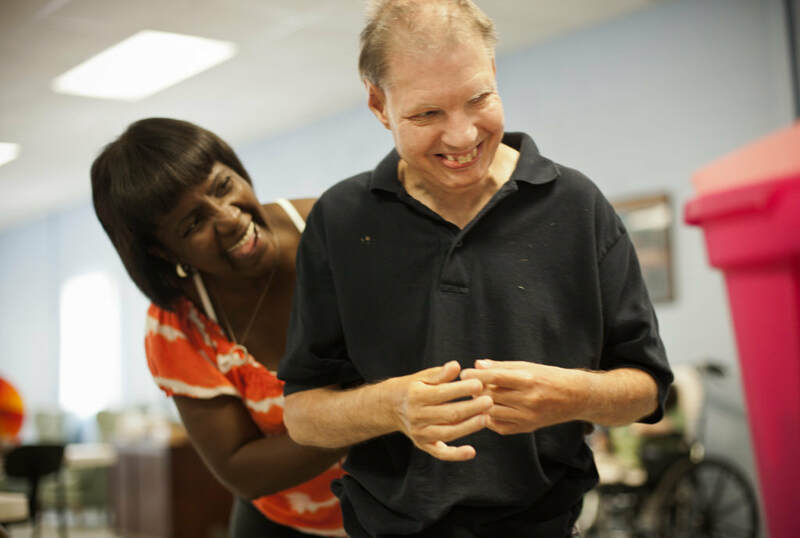 Supported living services are individually personalized to assist the participant acquire, maintain and improve skills needed to successfully live independently in the community. Services are provided in a participant’s or family’s home and in the community. Individual habilitation training services are provided as an intensive 1:1 service for youth ages 0-20. This service assists participants to gain and/or improve skills not yet mastered that will lead to more independence and higher functioning. Supports and training may include social skills and relationship building, activities of daily living, community safety, community involvement, and life skills. Supported Employment provides training and support in a competitive job placement. The person served in Supported Employment is provided with extensive one-on-one job coaching assistance to learn skills and appropriate work behaviors. All Goodwill Wyoming employees regardless of their disability or disadvantage are always paid at a full wage rate. We never pay unequal pay for our employees. Respite care is provided to participants unable to care for themselves. Respite is a short-term service due to the absence of, or need for relief for the caregiver. Respite is typically provided in the home. Personal care services are a 1:1 service provided to assist participants in completing task they would do normally if they did not have a disability. This may include activities of daily living such as bathing, dressing, personal hygiene, etc. Assistance provided may be in the form of hands-on, cuing or prompting. Personal care services are provided in the participant’s home or on their property. Companion services can be provided as a 1:1 or group of up to 3 people. Companion services include non-medical care, supervision, and socialization for a participant to maintain safety at home and in the community as well as increase independence. The Thrive program works with youth between the ages of 14 and 21 who have been in foster care or residential treatment. THRIVE walks along side of youth developing self-sufficiency. We practice life skills, social skills and help youth learn to navigate the world as a young adult. The KIPP program works with caregivers, children and incarcerated parents to improve connections, parenting skills, and understanding of the challenges children with incarcerated parents face on a day to day basis. Services are highly individualized and related to the needs of each family. 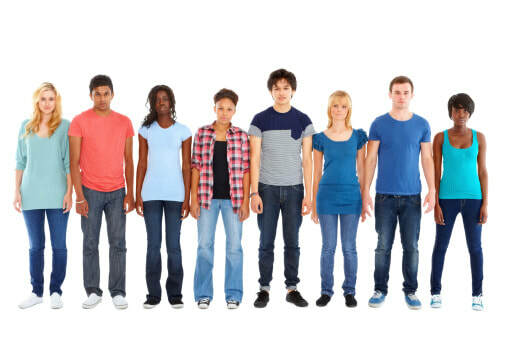 The Goodwill Navigator program aims to help children, teens and families heal and prosper through healthy relationships and community connections. Families sometimes need extra supports when faced with challenges in the home, with a family member involved in the criminal justice system or when families are interrupted for any reason. Our program intends to walk alongside families and shine the light on resources, opportunities and relationships that can make life full and complete in spite of disruptions. The Goodwill Wyoming Reentry Plus Program is a community programs based effort focusing on the offender population of Wyoming through partnership with the Wyoming Department of Corrections. This program aims to build opportunities while breaking barriers for offenders. Goodwill Wyoming will share the philosophy to empower inmates to be self-sufficient and will encourage them to make the commitment to finding ways to sustain long-term success through education and employment opportunities and positive family relationships. Goodwill Wyoming is pleased to be implementing Wendy’s Wonderful Kids, a signature program of the Dave Thomas Foundation for Adoption that is bringing children waiting to be adopted from foster care one step closer to safe, loving and permanent homes.